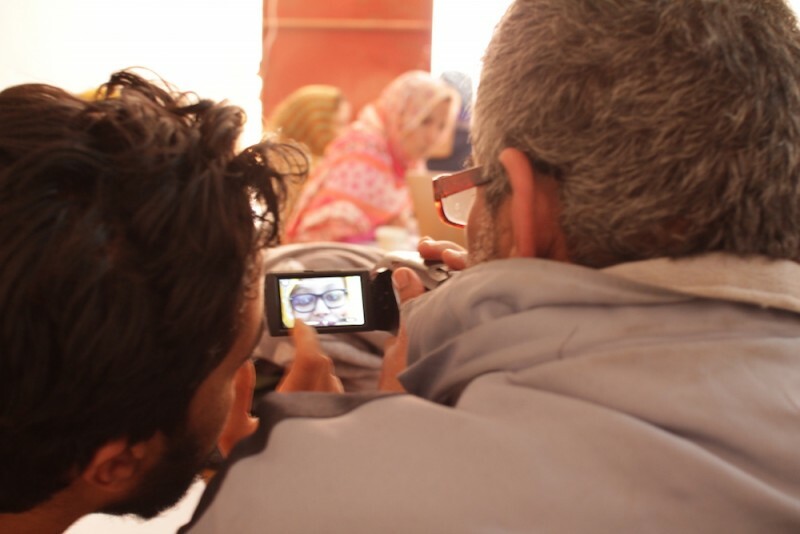 WITNESS video advocacy workshop in the Tindouf camps in February, 2016. Photo by Madeleine Bair. Witness Editor’s Note: On a recent trip to the Sahrawi refugee camps in Tindouf, Algeria, WITNESS met local journalist Habibulah Mohamed Lamin. 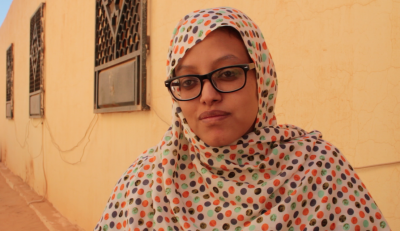 This dispatch from Lamin is part of Watching Western Sahara, an initiative of the WITNESS Media Lab curating and contextualizing human rights videos of Sahrawi media activists. This post was originally published on the Witness blog. The Sahrawi refugee camps are mainly scattered tents and mud houses that stretch out in the vast Sahara desert in western Algeria. They were created when Morocco annexed Western Sahara in 1975, and the estimated 100 thousand people who live there today depend on humanitarian aid to meet basic needs like food, water, and clothing. The Sahrawi people founded a state in 1976 called the Sahrawi Arab Democratic Republic, or SADR. It operates in exile in the camps and the Polisario-controlled part of Western Sahara. After agreeing to a UN-brokered ceasefire in 1991, Sahrawis have explored peaceful means to demand their right to self-determination. The peace agreement promised a referendum to allow Sahrawis to vote for independence, but that has yet to happen. Brahim Dihani is 31 years old. He grew up in the capital of Moroccan-occupied territory of Western Sahara, El Aaiun (also known as “Laayoune”). Dihani has a masters in journalism, and is a human rights activist. He works with the Sahrawi Association of Victims of Severe Human Rights Violations Committed by the Moroccan State (or ASVDH) to document abuses in the region and organize peaceful demonstrations. Dihani came to the camps to participate in a workshop organized by the Sahrawi Students Union (or UESARIO). The 16 students gathered in a big room were all eager to learn. As soon as their teacher asked them to identify filming shots, they started: ”wide-shot, “no, long shot,” with an atmosphere full of enthusiasm. “I came to learn filming skills so that I can apply them when I go back home,” Dihani said. According to him, it is hard to protest in Western Sahara because of Morocco’s prevention of any assembly of protesters. “Risking your life,” Dihani told me, “starts just as you leave the El Aaiun airport.” As he explained it, the media repression he is subjected to by Moroccan authorities is a process of tight scrutiny. “As I head back home,” he added, “I expect all types of unethical inspection such as strip searches and so on”. Mariem Zafri is 33 years old, living in the Moroccan-occupied city of Smara. She recently finished a training course on video advocacy for human rights organized by FiSahara and WITNESS. Zafri agrees with the many Sahrawis and international organizations who would like to see human rights monitoring added to the mandate of MINURSO, the UN’s peacekeeping mission in Western Sahara. Such monitoring, she said, will “enable Sahrawis to take to the streets and demand their rights.” Currently, human rights in Western Sahara is rarely covered by international journalists or advocates. Earlier this month, a group of Europeans who tried to visit the Gdeim Izik prisoners were expelled from Rabat by Moroccan authorities. Human Rights Watch has been banned from visiting the territory. However, when the Security Council voted today to extend MINURSO’s mission, it did not make that change. Video of family members of Sahrawi political prisoners protesting in Rabat, Morocco. Habibulah Mohamed Lamin is a journalist based in the Western Sahara refugee camps. 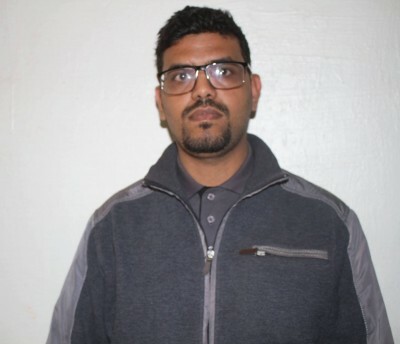 He has worked as an interpreter and translator for visitors to the camps, including WITNESS, and is director of Equipe Media Branch in Tindouf, a group of media activists that is active in Western Sahara.